On April 14, 2018, the joint forces of the U.S., U.K. and France launched over 100 projectiles from planes and ships on weapons facilities at three sites in Syria, in retaliation to the April 7 chemical attack on the rebel-held town of Douma that reportedly claimed more than 40 lives and left 500 people injured. There have been no reports of casualties caused by the strikes so far. 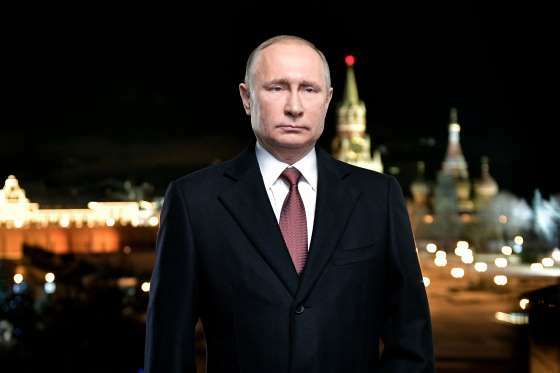 On April 15, Russian President Vladimir Putin warned that if the Western nations execute another strike on Syria, it would bring chaos to global affairs. A statement released by the Kremlin said, "Vladimir Putin, in particular, stressed that if such actions committed in violation of the U.N. Charter continue, then it will inevitably lead to chaos in international relations." 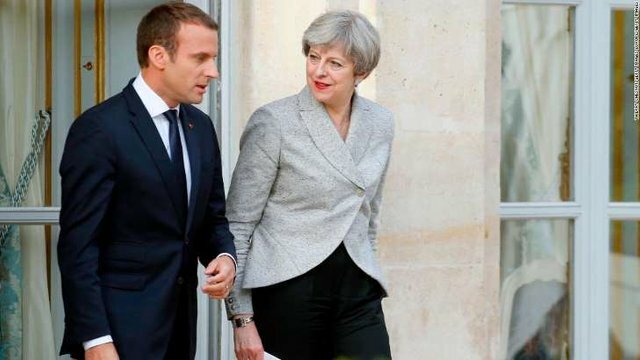 There will be questions for both UK Prime Minister Theresa May and her French counterpart Emmanuel Macron when they face their legislatures on Monday. The leaders will be expected to answer for their decision to join the US in launching missiles at suspected chemical weapons sites in Syria, in an attempt to punish Bashar al-Assad's regime for allegedly deploying gases on civilians in a Damascus suburb. Their defense that the strikes were necessary to ensure the use of chemical weapons is not normalized and used again in Syria, or elsewhere, was dismissed by Russian President Vladimir Putin, one of Assad's strongest supporters. Putin spoke to Iranian President Hassan Rouhani on Sunday, and in a joint statement released by the Kremlin they called the missile strike an "illegal action," that "seriously damages the prospects for a political settlement in Syria." Putin, the Kremlin added, stressed that if "such actions, carried out in violation of the UN Charter, continue, it will inevitably lead to chaos in international relations." Putin and Rouhani aren't the only ones doubting the legitimacy of the allied strike. The UK opposition leader, Jeremy Corbyn of the Labour Party, said on Saturday that he believed the "action was legally questionable," and called on May to publish the UK Attorney General's advice that approved the bombings. "As I said, I believe that Parliament should have been consulted and voted on the matter. The UK Prime Minister is accountable to Parliament, not to the whims of a US President," he said in a letter to May that he posted on Twitter. Corbyn pointed to comments from UN Secretary General António Guterres, who after the air strikes spoke of "an obligation, particularly when dealing with matters of peace and security, to act consistently with the Charter of the United Nations and with international law in general. The United Nations is very clear on this issue." Corbyn asked for assurances from May that "there will be no further bombing raids" while chemical weapons inspectors were on the ground in Syria. May will point to the international backing the strikes received, and the certainty of the allied partners that the regime was "highly likely responsible" for the attack. "Let me be absolutely clear: we have acted because it is in our national interest to do so," May is expected to say Monday, according to excerpts of her statement released in advance to the media. "It is in our national interest to prevent the further use of chemical weapons in Syria -- and to uphold and defend the global consensus that these weapons should not be used." Inspectors from the Organization for the Prohibition of Chemical Weapons (OPCW) were expected to go to Douma Sunday to obtain samples from the alleged chemical weapon attack. Senior US officials expressed confidence Saturday that both chlorine and sarin gas were used. In Paris, a parliamentary debate will take place in France's National Assembly on Monday afternoon after Macron's decision to order the intervention of French armed forces abroad, according to a tweet by the head of France's National Assembly, Francois de Rugy. "If you look at what Russia is doing, they continue to be involved with all the wrong actors, whether their involvement in Ukraine, whether you look at how they are supporting Venezuela, whether you look in Syria and their way of propping up Assad and working with Iran, that continues to be a problem," Haley said on Fox News Sunday. "Right now, they don't have very good friends and right now the friends that they do have are causing them harm. I think they're feeling that." "Our job was never to take Assad out," she said. "Our job was never to start a war." Trump, she said, has "talked to our allies and said they need to step up more. They need to do more. And it shouldn't just be us doing it. I think that's the right approach. But be very clear, if we leave, when we leave, it will be because we know that everything is moving forward." Russia's footprint in Syria shows no sign of fading. On Sunday Assad met with a group of Russian lawmakers and told them he expects the country to take up to 15 years to recover from the war, according to Russian state news agency TASS. "An important topic is the restoration of infrastructure, it will cost no less than $14 billion, it will take 10-15 years," Russian MP Dmitry Sablin was quoted by TASS. Another MP, Sergey Zheleznyak told Russian media after the meeting that Assad also praised Russian defense weapons used during the allied air strikes. "From the president's point of view, it was an aggression, and we share this position," he said. The White House pushed back against comments Macron made during a two-hour interview in which he said he convinced Trump "that it was necessary to stay" in Syria. "The US mission has not changed. The President has been clear that he wants US forces to come home as quickly as possible," said White House Press Secretary Sarah Huckabee Sanders in a statement. "Please be assured," Macron said in his interview, "we've convinced him that we had to stay on in the long term."